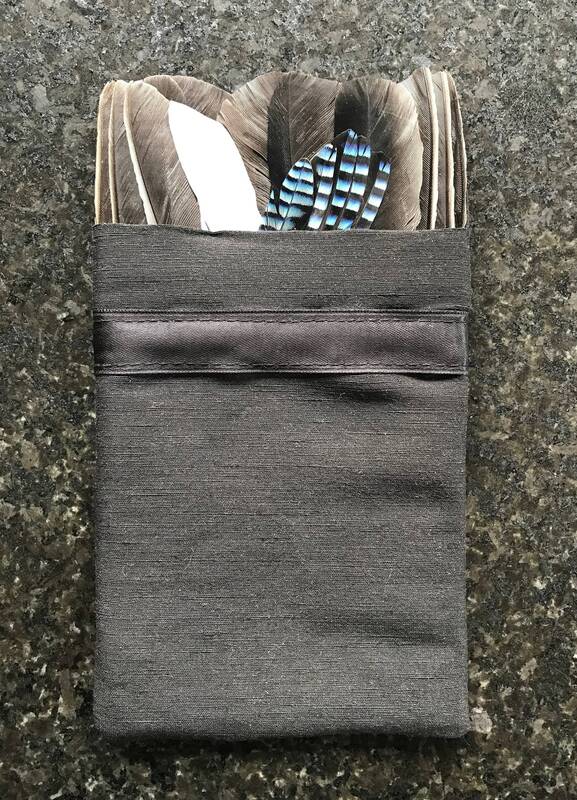 JAY Feather Bow Tie and Pocket Square Set. Arriving in a beautiful wooden roll top keepsake box, which can be personalised with engraving, this bow tie and pocket square set is also ideal as the perfect gift to mark any special occasion. 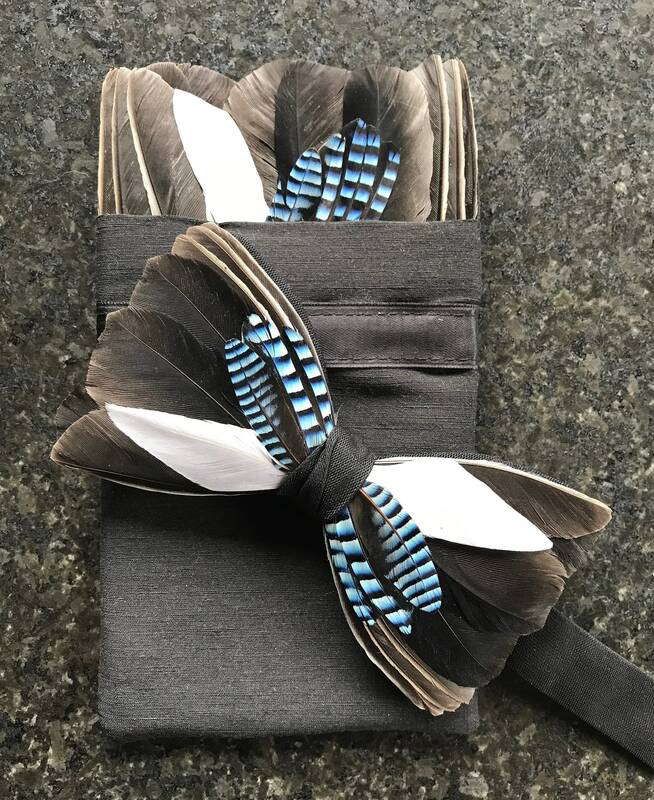 Complementing designs of feather lapel pins, wrist corsages, hair clips, bridal bouquets, and fascinators are also available. If you cannot see your preferred item listed in store, you can select the custom order button, or contact Tracey direct, to discuss a more bespoke design.